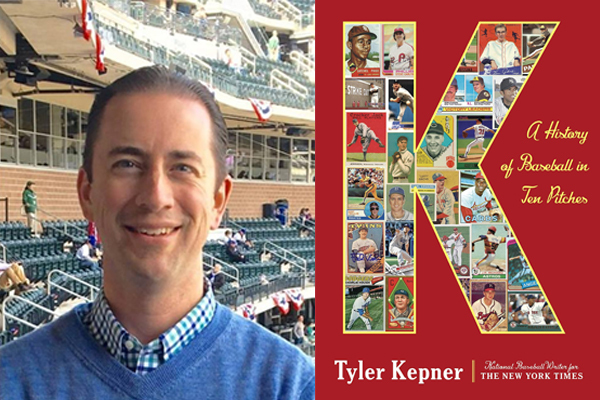 New York Times baseball columnist Tyler Kepner is coming to An Unlikely Story to talk about his book, K: A HISTORY OF BASEBALL IN TEN PITCHES. Through the art of pitching, the book combines anecdotes, careful research, and thoughtful analysis to reach the heart of America’s favorite past-time. At the event, Tyler will discuss his new book and answer audience questions, followed by a book signing. In addition, beer and wine will be available for purchase. Filled with priceless insights from many of the best pitchers in baseball history including twenty-two Hall of Famers—from Bob Gibson, Steve Carlton, and Nolan Ryan to Greg Maddux, Mariano Rivera, and Clayton Kershaw—K will be the definitive book on pitching and join such works as The Glory of Their Times and Moneyball as a classic of the genre.